If you’re about to write a novel, start with the midpoint. That’s the place to build your world around. 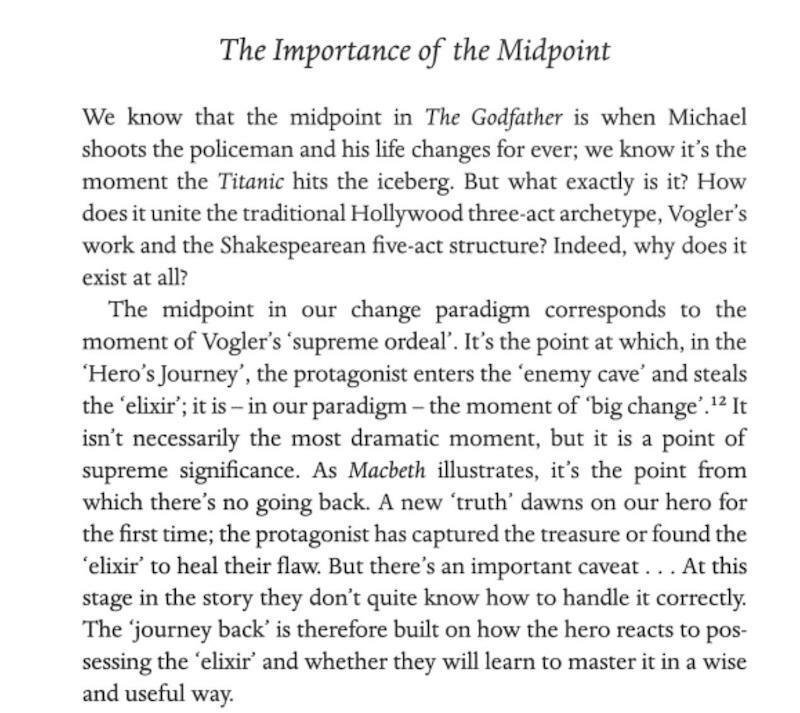 The midpoint is the point of no return in a story. It’s when the main character undergoes a crisis, and finds within themselves (or not) the necessary qualities to reverse the action or fortune of the book. Often this is the point at which the character is most challenged and therefore at their lowest. The idea is developed in John Yorke’s book Into The Woods as a convention or precept axiomatic to the development of screenplays.